Part Two of our list of 10 basketball coaching tips specifically designed for working with young players. Coaching kids basketball is a lot different than working with older, more mature and skilled players. Below we're continuing with tips #6-10. Want to see what you've missed? Click here to see all 10. Unfortunately, it's part of human nature to lock onto every negative word that's tossed our way. We may receive 20 compliments, but we'll remember that one hurtful thing that was said. This is an important concept to remember when coaching kids basketball. When you need to correct a mistake a player makes, sandwich your critical comment in between 2 positive ones. "I love how you dribbled the ball down the court so quickly." "Next time, try to keep your head up so you can see what's happening on the floor." "Your ball handling is getting so much better!" By tucking the correction in between two positive statements, it becomes much easier to swallow. Plus, kids love to get compliments from coaches and parents! I have friends who excelled at basketball when they were younger and now find it very hard to swallow the fact that their own child doesn't share their enthusiasm for the sport. 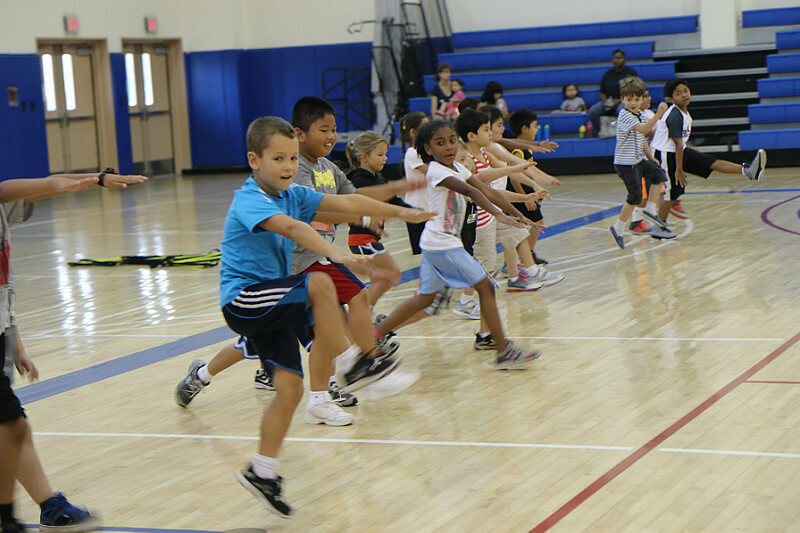 I've had players come to my basketball camps who just wanted to try something new. They had fun for the week, gave great effort, and learned new skills, but decided it really wasn't their thing. Youth is the time to experience new activities and explore undiscovered talents. Even if basketball doesn't turn out to be your child's thing, he will gain skills that will transfer to other areas of his life. Your job coaching boys and girls basketball is to introduce young athletes to the game and help them taste some small successes performing new skills in the short period of time they're with you. However, on a side note. Quitting mid-season because your child decides he doesn't want to play anymore shouldn't be an option. Kids need to learn the importance of commitment and following through with what they start. We all have to do things in life we don't particularly like. Might as well start learning that early on. Though I think each of these basketball coaching tips are important, this one's a biggie. While coaching youth sports, please don't get too caught up in the number of points on the scoreboard. Wait, did I really say that? You'd be hard pressed to find anyone who hates to lose as much as I do. I'm a competitor. Always have been. But, at the beginner level, success is determined by individual player improvement, not the final score count. Don't make the mistake of measuring player and team success by the number of wins or the amount of points scored. It's way too early for that. Before they can compete seriously, young players need a solid foundation of basic skills. It takes years to develop these skills. I do think it's important to keep score. Kids can learn some great lessons about winning and losing and handling disappointments. When I see those leagues that have chosen not to keep score, I see a group of adults who are cheating kids out of tremendous learning opportunities. Kids need to learn how to win... and lose. How else are they supposed to learn if we deprive them of the opportunity? Is there a safer place to starting learning how to deal with disappointment and feelings of inferiority than on a sports court when they're little and the stakes are low? Players need to be taught how to come out on top with dignity and respect. And how to come out on bottom. Without being overly caught up in either success or failure. You know something I've noticed about my daughter and her teammates in all of the youth sports she's played? No matter how hard the adults try to pretend that the score doesn't matter, the kids in the game know who's winning. They keep their own score. It's part of the game. The adults in our society today have created such an overly competitive environment for youth sports that way too many kids drop out before they're teenagers! Why do they quit playing so prematurely? For one simple reason: They don't have fun anymore. When it comes to youth sports, please remember the tremendous platform they provide for teaching important life lessons to kids. If done right, young athletes can learn about success, failure, disappointment, and getting along with others all within a framework of fun competition. If done wrong, kids can get stressed out, burned out, and hate the game. Learn to recognize the signs of burnout in kids. Youth sports coaching is so much more than winning the elementary school basketball championship. It's about giving all children the opportunity to have fun as they experience success trying out their new skills on the court. One of the best youth basketball coaching tips I can offer is to remember, coaches, you have a responsibility to look for ways to ensure your young ones have both success and fun. This starts with some specific modifications coaches and parents can make to help their kids be successful. Expecting little kids to perform basketball drills with a regulation-size basketball and a 10-foot goal is setting them up for failure and frustration. Young players have very small hands, and they will be more comfortable handling a youth-size basketball. They also lack the physical size and strength to reach a full-size goal. They would be much better off with a 6-8 foot goal and a smaller court. Youth basketball rules include these types of accommodations. 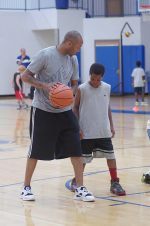 When it comes to basketball practice, coaches might need to make further modifications if the kids are still having trouble. For really young kids or those with special needs, try a playground ball or some other smaller, lighter ball. I've used beach balls, foam balls, and mini-basketballs for some. If they still can't reach the goal, try a trashcan or another target of some type. Sometimes, you might have to be very creative. I've used buckets, hula-hoops, and boxes. And certainly don't be afraid to modify drills and games as much as necessary so kids don't get frustrated.